As we enjoy the warm breeze of California summer (for those of you who aren’t encased in the Bay Area fog anyway), AABA is moving ahead with this year’s exciting programs. As my team implements new programs and tries out new approaches, I want to highlight another equally importance quality to a successful year – resilience. As we take on the smart risks, we are bound to misstep and fall – taking on the new job only to realize that the job will take up more time and resource than you can offer; or negotiating aggressively only to have the deal fell apart because your aggressive style has poisoned the goodwill between the parties. It’s okay to get frustrated, or even angry. However, after you’ve let out the steam, it’s important to regroup and assess the situation. Sometimes, the path may be long or it may seem impossible. However, by taking inventory on why we fall, we can get back up and move forward towards our goal. This is the same way that the Golden State Warriors come back at the end of Game 6 of the Western Conference finals. This is the same way that Asian American civil rights activists have been making strides in the last 50 years. This is how moms are able to pacify their grumpy clients at work while addressing the needs of their toddlers at home (or is it the other way around?) In order for us to take these smart risks, we must necessarily be comfortable with the reality that we can’t always win and we can’t always control the environment or the outcome. The measurement of success in these situations is not the number of mistakes that we make along the way. The measurement of success is how we handle these mistakes. As we are getting used to the summer breeze, I would suggest to take a more “laid back” approach – it’s okay to fail. Life doesn’t always give us what we wish for, and our goals may take longer than what we had originally anticipated. I am confident that we will prevail so long as we are able to remain resilient and stay true to our course. Enjoy the summer and please come out to support the AABA family as we take on these smart risks! On May 24, 2016, the AABA hosted its annual Giants baseball night where the Giants played against the Padres. The Giants won the game 3 to 1. More than 50 of our members and friends showed up for the game. This was a special events night and the attendees received a free Bruce Lee T-Shirt. 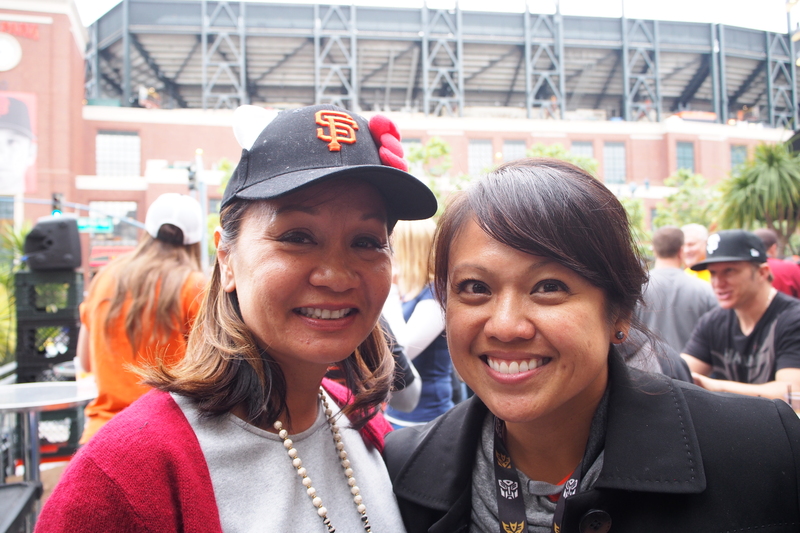 The game was pre-featured with a happy hour mixer sponsored by our good friend Advanced Discovery c/o Larry Lee. 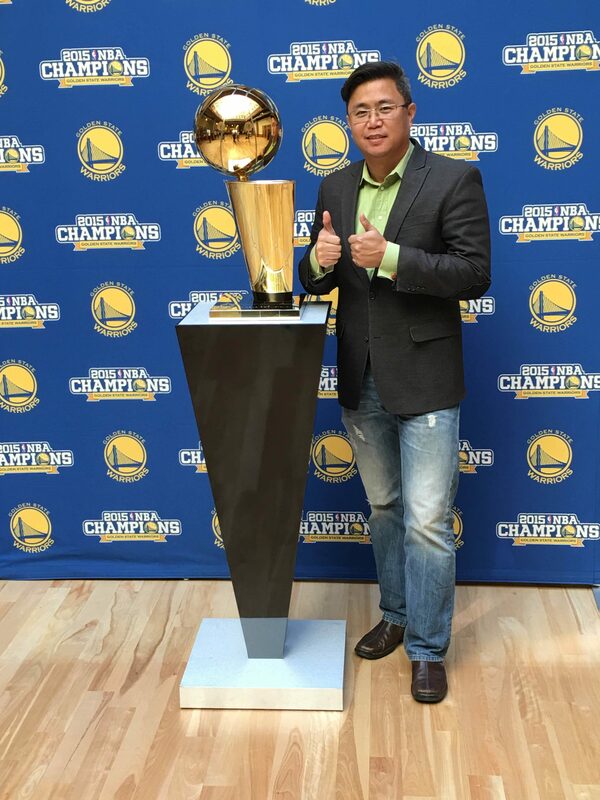 Special thanks to Social Committee c/o Elvin Vu for coordinating and setting up the event. Let’s continue our annual tradition. 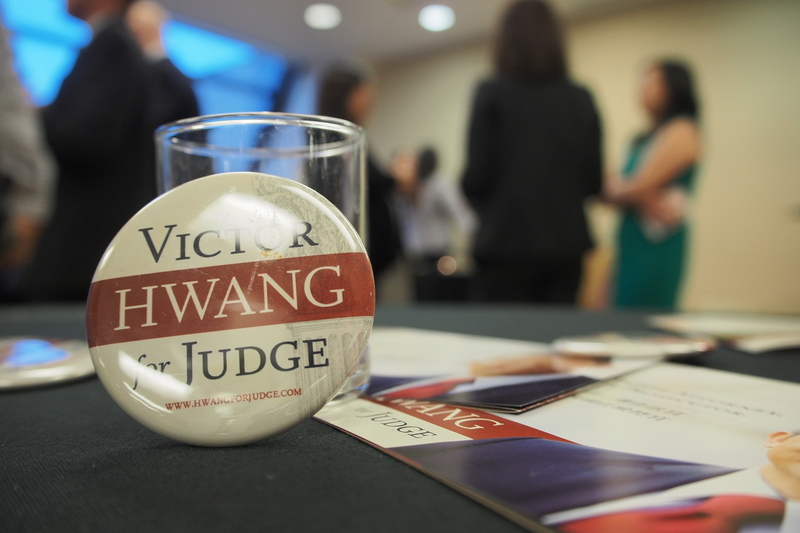 Former APILO Deputy Director Victor Hwang is running for San Francisco Superior Court Judge in the upcoming June 7, 2016 election. Victor Hwang was inspired to go to law school after taking an “Asian Americans and the Law” class at Berkeley and deciding that he wanted to be a lawyer to serve the community. 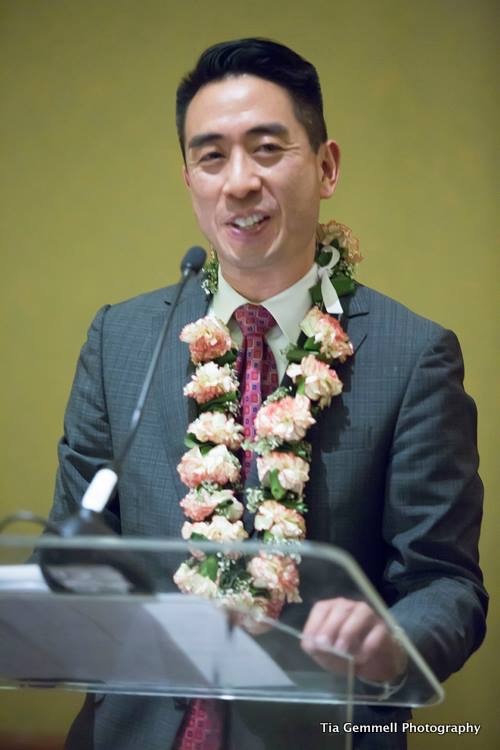 Throughout his career, he has worked as a public defender, a civil rights attorney at the Asian Law Caucus; an advocate for survivors of domestic violence, sexual assault, and human trafficking as Deputy Director of API Legal Outreach; and as a civil rights prosecutor focused on hate crimes and human trafficking. In an interview, Victor explains what he looks forward to in the future. What motivates you to become a judge? After having practiced for 23 years in nonprofit and civil rights work, I think I can continue to best serve the community by becoming a San Francisco Superior Court Judge. From my experience in working in low-income communities and representing people who don’t speak English, have never been to court before, or who can’t afford an attorney, I think I would bring a unique perspective to the bench on improving the way our justice system works for everyone. I have been a courtroom attorney for all of my professional career and have more than seven times the trial experience of my two opponents combined. I have tried 50 jury trials (up to homicide) as a public defender, 30 jury trials as a district attorney and roughly 20 cases in our civil courts. I think I would bring a higher level of experience and a balanced perspective to the bench. It is for this reason that I have been given the highest possible rating by the Bar Association of San Francisco – “exceptionally well qualified” – the first judicial candidate to have received such a rating in 20 years. What type of judge will you be? Having served as both a public defender and a district attorney, I think I will bring a balanced perspective to the bench. My judicial philosophy will be to emphasize procedural due process – ensuring that everyone, regardless of language, income, or representation, have an opportunity to present their case and to make a decision on the merits. I would note that Asian Americans are the most underrepresented minority group on the San Francisco bench with only 9 API judges out of 52 positions. We are at less than half of our city-wide population and the Governor has not appointed any Asian American judges in San Francisco, San Mateo, or Alameda counties in the past 5 years. If folks in AABA support the goal of diversifying the bench, I hope that they will support me in my campaign. 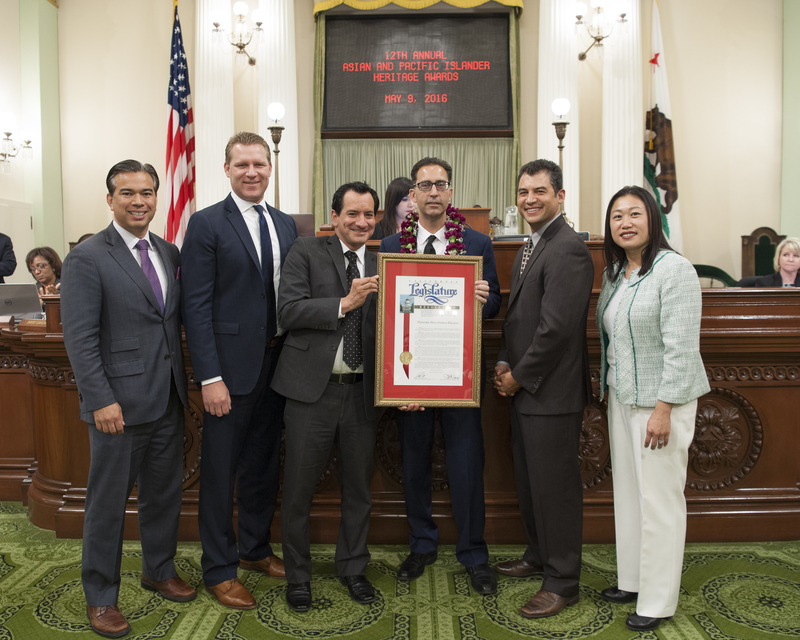 David Tsai was honored for excellence in civil rights by the California Asian Pacific Islander (API) Legislative Caucus May 6, 2016 at the California State Capitol in Sacramento during Asian Pacific Islander American Heritage month. Tsai was among the 10 Asian Pacific Islanders who were honored for excellence in their respective professions. 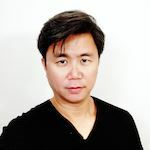 “I was surprised to receive such a recognition, but am truly honored and humbled.” said Tsai, who is a partner in Vinson & Elkins LLP’s San Francisco office and co-head of the firm’s Taiwan practice. 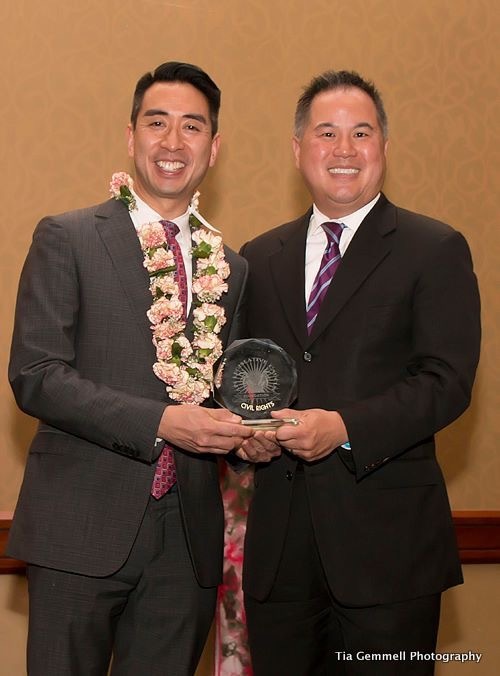 Tsai was recognized for his commitment to pro bono work, for his presentation of API clients in immigration and for his work in founding scholarships for API students. California Assemblymember Ed Chau (D-Monterey Park) spoke during the ceremony about how APIA’s have made significant contributions to California and the United States. Chau said Asian Pacific Islander American Heritage Month is a time to honor their history and contributions to all aspects of society. The other 2016 honorees were: “Fresh Off the Boat” in arts and entertainment; Cathlyn Choi, culinary arts; Dr. Allyson Tintiangco-Cubales; education; Vince Chhabria, law; Dr. Paul Truong, health; Bill Wong, public service; Shuji Nakamura, science; Johnnie Giles, business and Thuy Vu, journalism. 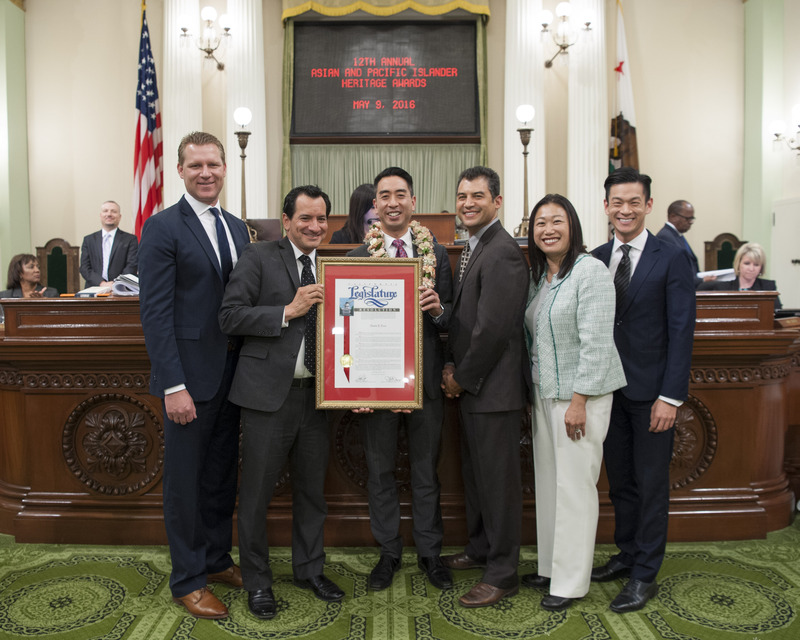 Chau and members of the California State Assembly and the Asian American Pacific Islander (API) Legislative Caucus co-authored Assembly Concurrent Resolution (ACR) 125, which declared May 2016 as Asian and Pacific Islander American Heritage Month which was passed with 67 co-authors. “I want to make the world a better place for all children so they feel safe and welcomed and are not discriminated based on any minority status,” said Tsai, who commented on the reason why he decided to pursue a career as an attorney which he has worked in for almost the past decade. 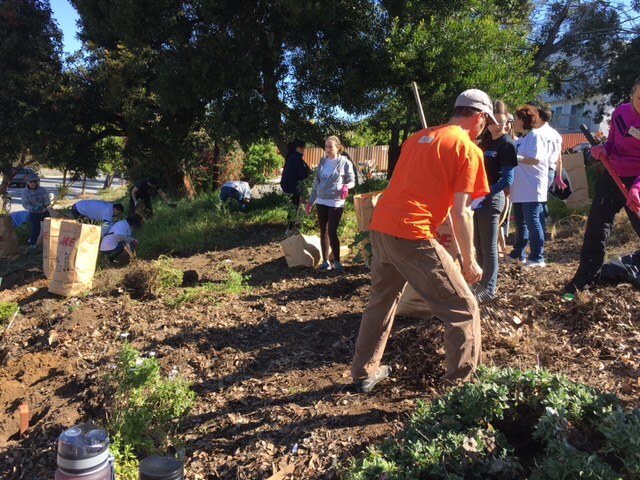 On Saturday, April 30, 2016, the AABA Community Services Committee (CSC) celebrated National Rebuilding Day by partnering with Union Bank to restore the Catholic Charities Senior Center in San Francisco. CSC volunteers awoke early Saturday morning to give the Senior Center a much-deserved facelift. 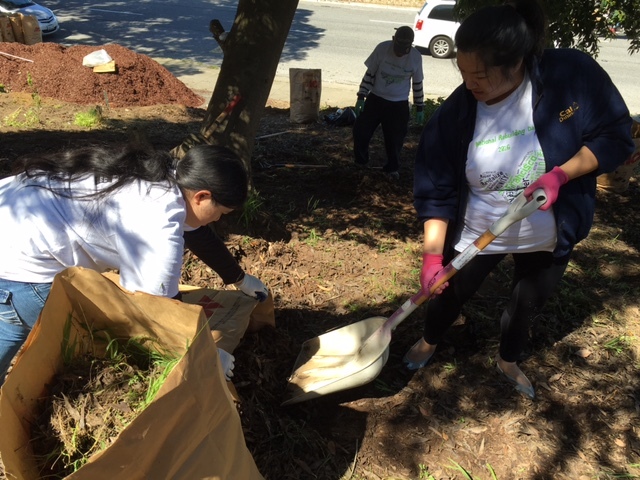 Volunteers transformed the Center’s front entrance by weeding and re-planting the hillside. They also brightened up the interior of the Center by re-painting the hallways. 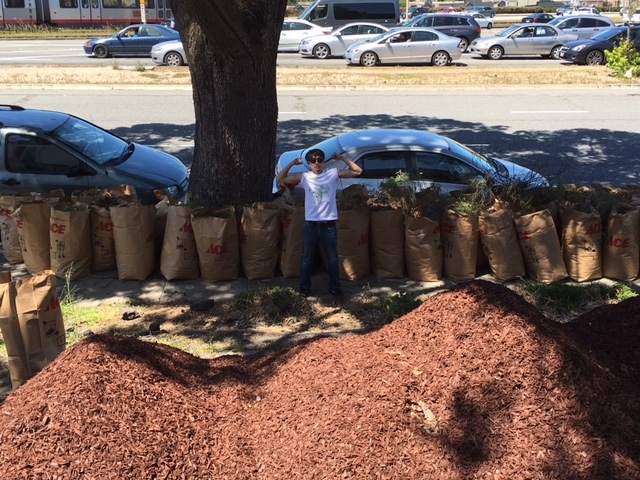 CSC put in its sweat equity with eight full hours of intensive labor. It was well worth it as the volunteers’ efforts helped transform the Senior Center. CSC is looking forward to next year’s event, which will be another great opportunity to show how AABA gives back to the community. 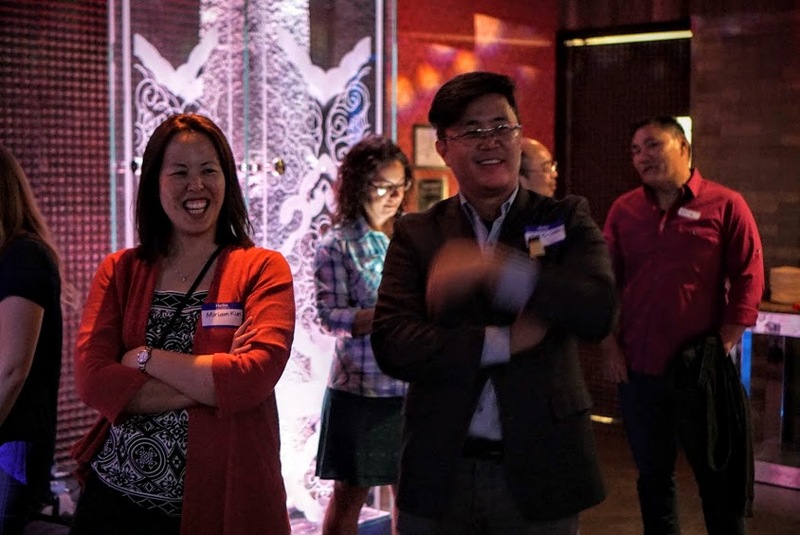 AABA kicked off the year with its first general social mixer on June 18, 2016 for members and guests at Infusion Lounge right next to San Francisco’s Union Square. Guests arrived early to enjoy refreshing beverages and to learn more about the committees of AABA. With over 75 guests in attendance, Infusion Lounge was beaming with energy. As close friends and new acquaintances mingled through the night, committees were given a spotlight on the activities they have planned throughout the year. President Hung Chang than gave some welcoming words for the new guests and members. He revealed his goals for the year and again highlighted the importance in joining AABA and the several committees. Thank you to the attendees for attending our event, the committees for participating, Gina Tsai/Brittany Colleen and Stephanie Yee for tabling, John Lough for taking photos, Josh Chang, and the board in supporting the event. We hope to see you at the Social Committee’s next event: The Joint Mixer with the Iranian American Bar Association and South Asian Bar Association on June 9, 2016 at O3 Bistro and Lounge in San Francisco at 6 p.m.